Perhaps Canada’s most peculiar looking turtle, the spiny soft shell is the only freshwater turtle to have a pliable, leathery shell and long, snorkel-like snout. They are also one the country's most threatened turtles, currently listed as endangered under the Federal Government's 'Species at Risk Act.' This is due to a variety of factors: habitat loss, flooding, invasive plants and poaching, coupled with the fact that females need to be at least 12-years-old to lay eggs. In Southern Ontario, the Upper Thames Conservation Authority (UTCA) has been working for over two decades to restore a struggling population hovering around 1,000 remaining turtles. 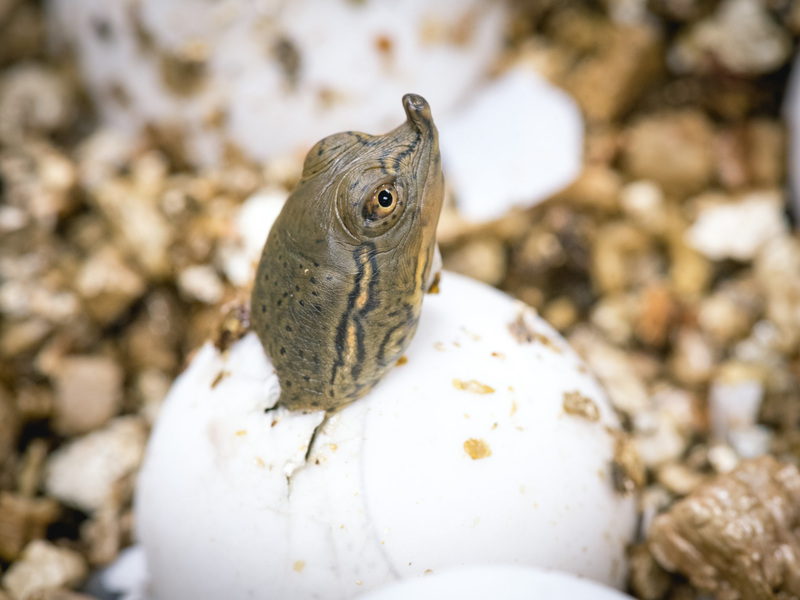 The recovery program protects nests, incubates and hatches baby spiny soft shell turtles, eventually releasing them into the Thames River. Without human intervention, there would be close to zero juvenile spiny soft shells naturally surviving and maturing to successfully increase the population. Even with this conservation program, turtle survival rates are low. It is estimated that for every 100 turtles placed into the river, maybe one will survive; sometimes it can be as low as one in every 1,000. Despite these odds, the UTCA restoration team has remained dedicated and persistent, hatching and releasing a record 6,000 baby spiny soft shells into the river during the summer of 2017. For every baby turtle that that the team watches disappear into the river banks, a glimmer of hope remains.